Earrings are a daily, must-wear, accessory for many women. When I don't wear earrings I feel sort of naked... don't you? 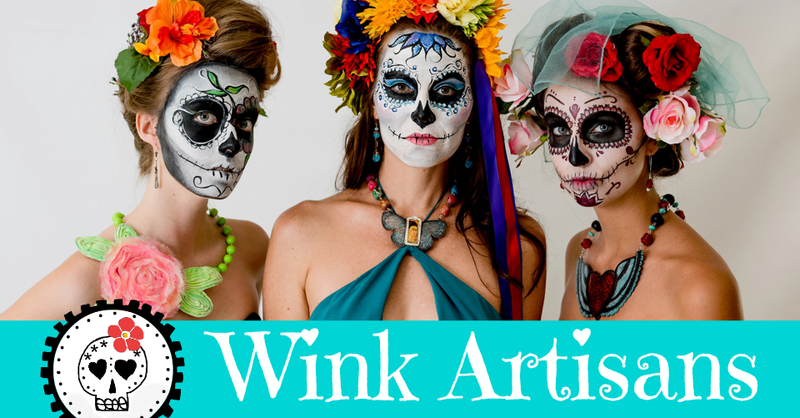 Long-time winker, Angelica, is often getting earrings from me. Whenever she forgets to wear her earrings, she comes into the studio and has me make her a new pair on the spot. Talk about pressure! Yesterday, she presented me with a pair of aquamarine and silver earrings I had repaired way back when I was still studying jewelry in 2007. One of the poor earrings had been stepped on. Back then, repairs were very new to me. Nonetheless, I fixed it and felt so proud of myself for doing so. Now, fast-forward seven years, imagine how I felt when I saw that same pair of earrings again. My first thought was... did they break again? No, not really, Angelica just wanted them to be re-fashioned. 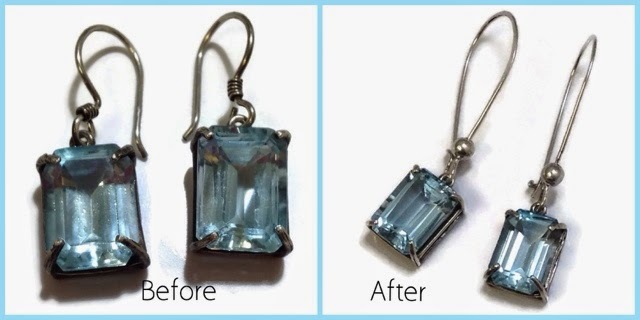 Make earrings longer and change ear hooks. Because the aquamarine is set to face front, adding a chain or a bead would make the gem rotate and face backwards. I made a set of simple, long, sterling silver, kidney ear hooks and soldered a ball bead to work as ornamentation and to prevent the setting from sliding off. Earrings are now in their third life and Angelica is a happy winker. Do you want to give new life to your bling? You know who to call! thks for sharing your tips! definitely need to try it out! You're welcome Sarah. I hope it works out for you. Wink!